I’m a burger lover and when I’m down and at my low moments it’s one of the foods that will surely comfort me. Though one burger is enough to fill in my day’s calorie consumption I don’t mind getting more calories when I’m down and stressed. Anyway it’s not every day that I get those irresistible cravings because most of the times I’m happy. Now when I get to see pictures of my favorite burgers that’s the time when I love to eat burgers happy or not. Well I love these full sandwiches with beef patties in many forms, sizes, flavors and kinds. I also want it simple or special, cheap or expensive because they all have different taste for me. When my sister brought home a huge Big Brother’s burger to me I realized it’s not only big in size but big in flavors also and I really wait for deals so I can get cheaper than its actual price. As I love buying vouchers from different restaurants, bakeries and some other shops because it gives me a way to buy my favorite foods in volume. 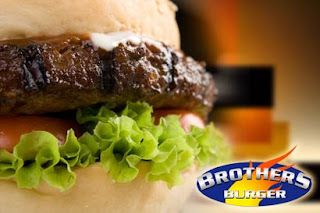 I’ve had numerous vouchers on pizzas, cakes, pastries, rice cakes, doughnuts, restaurants and some others but I’m always late in getting vouchers for Big Brothers burger. Now I just saw its promo in MetroDeal and instead of buying for P220 it’s offered for P135 only. That’s 39% savings off the regular price. 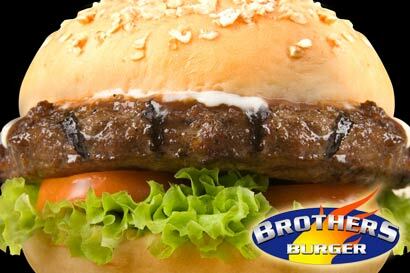 You’ll get juicy, hefty and delicious 100% pure beef burger for lesser price. Here I know you’ll drool with this.